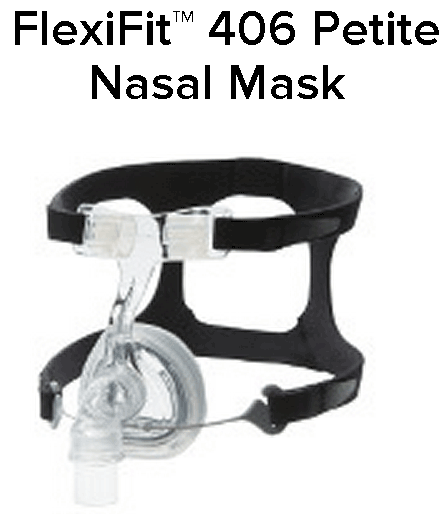 FlexiFit Nasal Mask BUY FlexiFit 405, FlexiFit 406, FlexiFit 407, Fisher & Paykel FlexiFit Nasal Mask, FlexiFit 406 Petite Nasal Mask, FlexiFit CPAP Nasal Mask, 405, 406, 407, HC405A, HC406A, HC407A, F&P FlexiFit Nasal Mask. 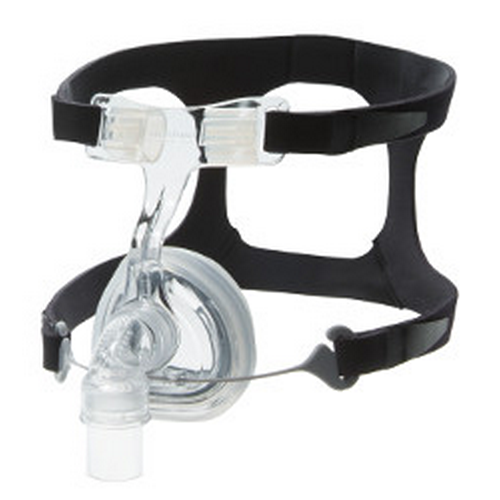 FlexiFit CPAP Nasal Masks are designed for CPAP Therapy for patients with finer facial features by Fisher & Paykel. Constructed to be lightweight and comfortable, FlexiFit Nasal Masks utilize the FlexiFit Technology, Glider Strap and clip, efficient bias diffuser, and a hidden strap release. FlexiFit Technology automatically adjusts and accommodates a wider range of face shapes and provides a greater range of movement at the nasal bridge while still maintaining the seal. The Glider Strap offers stability without deterring head movement. Developed with an anthroprometric database with thousands of facial contours, the FlexiFit Nasal Masks offer a better fit and superior comfort. 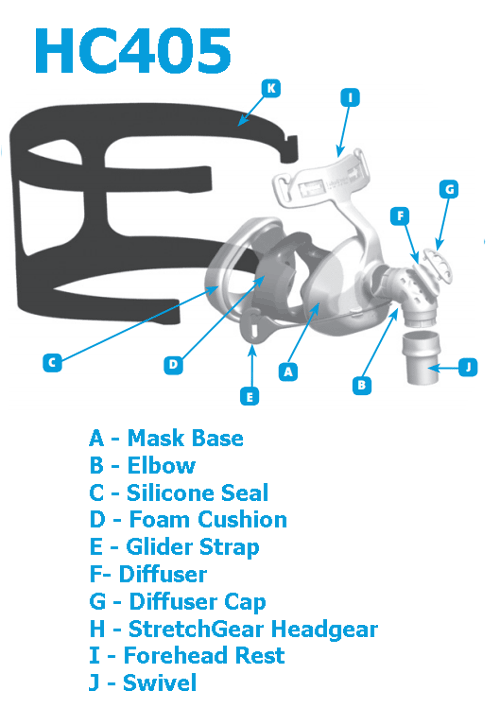 The FlexiFit Nasal Masks are easy to use and easy to get on or off. Offered in three separate options, FlexiFit Nasal Masks comes in a petite design--FlexiFit 406, standard design--FlexiFit 405, and premium design--FlexiFit 407. Mask Base (one size fits all). Small Foam Cushion & Silicone Seal, 400HC427. Large Foam Cushion & Silicone Seal, 900HC428. Elbow & Diffuser Material, 900HC441. Headgear with Crown Strap, 400HC429 (one size fits all). Exhaust Flow Diffuser Material, 900HC439. Foam Cushion & Silicone Seal, 400HC509. Headgear with Crown Strap, 400HC307 (one size fits all). Foam Cushion & Silicone Seal, 400HC501. Headgear with Crown Strap, 400HC301 (one size fits all). With Foam or Air Cushion FlexiFit Technology the FlexiFit Mask automatically adjusts to a wide range of nasal and facial contours with simple one-step ease of fitting and no complicated adjustments. The sliding Glider Strap provides freedom of movement while maintaining a seal. Mask fitting remains equal when the head rotates from side to side, minimizing the occurrence of leaks. The Diffuser is efficient, providing quiet usage. The Diffuser is maintenance free. This advanced air diffuser system prevents air from blowing onto the sleeping partner and decreases noise that could potentially disrupt sleep. Fit and Forget technology that combines foam cushion shape and headgear design for a comfortable and stable seal. Unique Glider Strap provides freedom of movement while maintaining a comfortable seal. 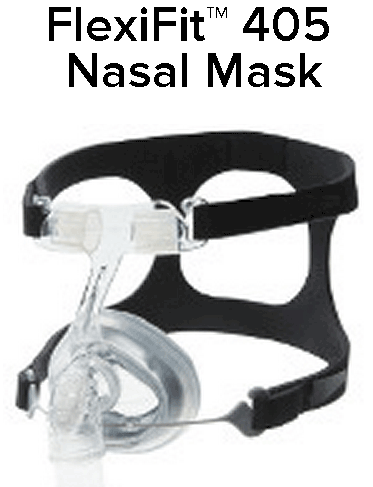 Easy-Release Strap provides simple removal of mask. Swivel hose connection allows the hose to be positioned in any direction. 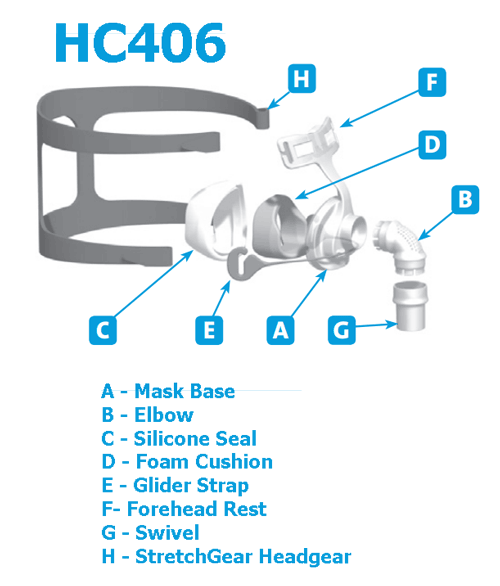 Fisher & Paykel FlexiFit Nasal Mask Product Numbers: HC405, HC406, HC407. FlexiFit 405: Pressure drop through mask @ 50 LPM 0.2 +/- 0.1 cmH2O; @ 100 LPM 0.5 +/- 0.1 cmH2O. FlexiFit 406: Pressure drop through mask @ 50 LPM 0.1 +/- 0.1 cmH2O; @ 100 LPM 0.4 +/- 0.1 cmH2O. FlexiFit 407: Pressure drop through mask @ 50 LPM 0.1 +/- 0.1 cmH2O; @ 100 LPM 0.4 +/- 0.1 cmH2O. Operating Pressure Range: 3 to 25 cmH2O. FlexiFit 405: 18 to 58 LPM. FlexiFit 406: 18 to 55 LPM. FlexiFit 407: 21 to 54 LPM. Operating Temperature Range: 40 to 120 degrees F.
FlexiFit HC405: 28 dBA, with uncertainty 2.5 dBA. FlexiFit HC406: 32 dBA, with uncertainty 2.5 dBA. FlexiFit HC407: 31 dBA, with uncertainty 2.5 dBA. FlexiFit HC405: 22 dBA, with uncertainty 2.5 dBA. FlexiFit HC406: 25 dBA, with uncertainty 2.5 dBA. FlexiFit HC407: 25 dBA, with uncertainty 2.5 dBA. Manufacturer: Fisher & Paykel (F&P). Fisher & Paykel Flexifit Mask Warranty: 90 days (excludes foams and material diffusers). Get quality instead of cheap! 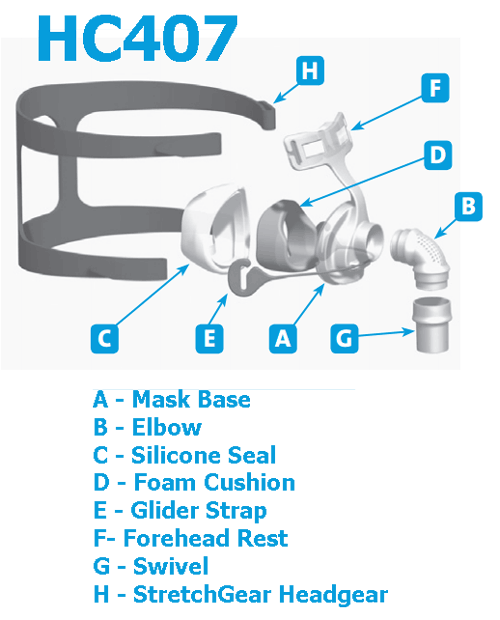 FlexiFit CPAP Nasal Mask is a quality mask. I have used a CPAP device for years due to sleep apnea. I once purchased a less expensive mask with headgear, and unfortunately I got what he paid for. The cheaper mask did not last very long. The headgear material left black residue all over the sheets and pillow. 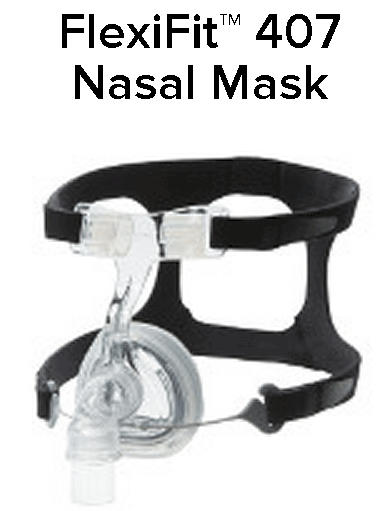 It’s hard to beat a tried and true CPAP nasal mask.